Do you dream of sailing in clear, protected waters under a bright Caribbean sun? Of snorkeling in the warm tropical waters of romantic anchorages, dancing beneath the stars or just strolling along a soft sandy beach where palm fronds gently sway in the balmy breeze? Why not stay aboard for a few nights? 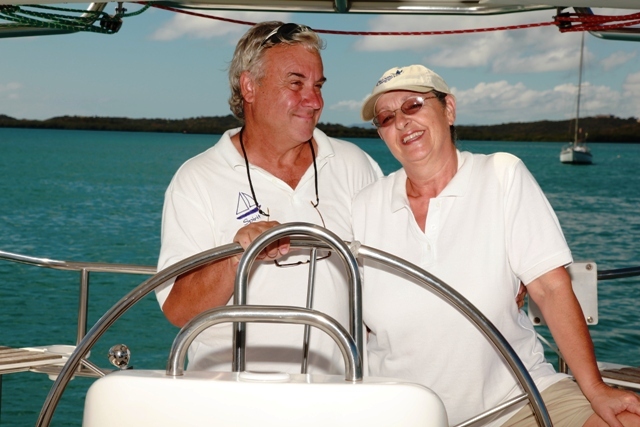 Come join Tim and Angela Cordts aboard the sailing yacht Spirit and live your dream! 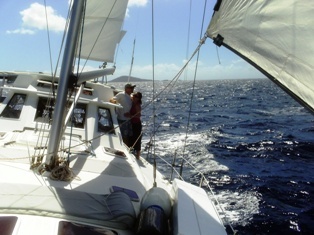 We can tailor a custom sail for 2 passengers to fit your desire. Or how about spending a week aboard! Spirits' comfortable en-suite guest cabin, spacious, shady cockpit and aft scoop for easy water access are designed to ensure your comfort and enjoyment. Late notice charters are welcome! 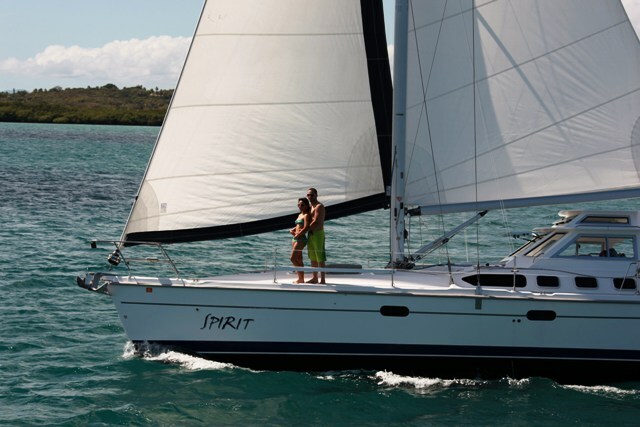 Whether your dream is to take a turn at the wheel, or sit back, relax and enjoy the pleasure of sailing in tropical waters, Cruising Spirit Sail Charters are ready to fulfill your dream. Customized to your personal preferences, we are extremely flexible with a genuine desire to make this your best vacation ever. 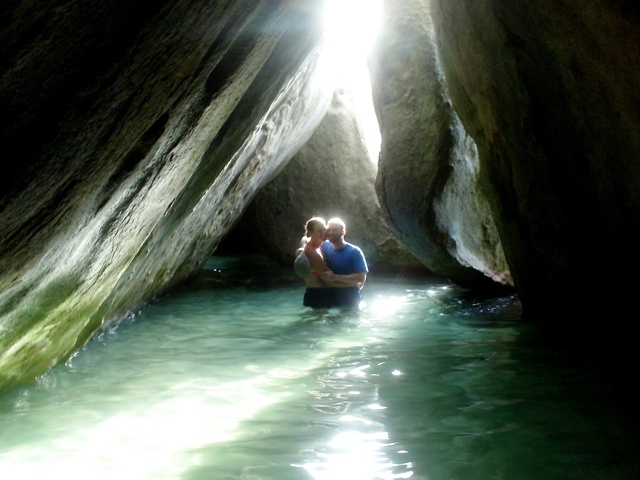 Honeymoon and Anniversary Specials - Welcome aboard champagne, Mimosa continental breakfast with Caribbean fruits, Champagne picnics ashore, complimentary DVD memories of your Adventures with Spirit and a photo CD including underwater video clips. Check with your preferred charter broker for special rates or contact us direct. We look forward to welcoming you aboard Spirit where unforgettable experiences await!